With organic reach at an all time low on Facebook, brands need to look at more innovative and creative ways of improving overall reach. And, yes, while engagement is still key as a metric, you can't engage unless you reach. Clever brands today do use paid, but they start with organic – meaning, they'll wait a day, or a few hours at least, before they boost their posts via paid. Some brands believe only in promoted posts and have ditched the organic reach goal. But it's best to have a strategy for when you should promote via paid and why. On some posts your goal may be to drive traffic to a website – via links. On others it may be to increase awareness and engagement. Use Facebook's algorithms wisely. If you have $100 to spend, don't just do it in one go. Select the Objectives (Traffic, Video Views etc) according to your goal. Create the ad and spend around $40 the first time around. Run the ad and pause it after a day or two. Then spend another $30, for example in a second burst, and then the rest. Spreading this out will boost both organic and paid content. 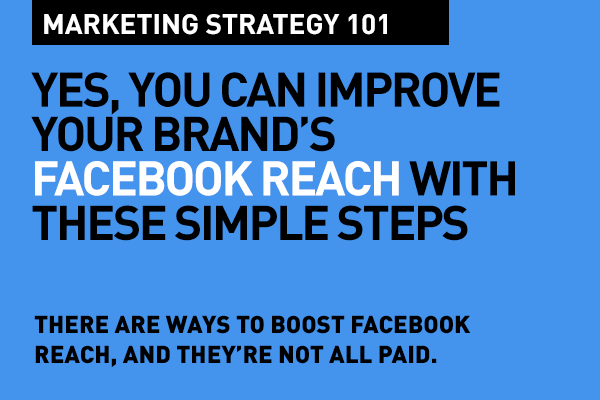 And the reach can keep increasing over time if the content is engaging and shareable. Attention is the commodity every brand is after these days. You need to get people to pause as your post scrolls by. Thumb-stopping content that people stop at, read, and then share right away is your magic key. The Facebook news feed algorithms is geared to support advertisers with engaging content. The more reactions, comments, and shares your posts get, the better their reach. This applies to both organic and paid. Content has to be relevant to your audience, and engaging – they add value, they educate, they entertain. We know today that video content gets 1200% more shares than image and text posts combined. Go with native video on Facebook – it gets 10 times more reach than YouTube videos shared via links on Facebook. The newsfeed algorithm will factor in time spent on a video post as well as the shaes – and it will boost your visibility and reach. One quick tip, Facebook actually supports longer form videos better. We see that video content between 5-15 minutes does better. But don't limit to video only. That gets boring quickly. Facebook posts should vary between video, images, slides and text – catering to a variety of audiences and their mindsets as they scroll through the newsfeed. As well, depending on the insights you see, don't forget to repost a post that did well. Most of your target audience may not have seen it the first time around. What keeps your audience coming back is engagement. Remember, it is after all, a dialog, a conversation. When you expect people to comment, like, share, shouldn't you be doing the same? Always respond to any comments and queries right away, and do that on each and every one when possible. Acknowledge shares and any feedback that you get on your posts. Facebook algorithm better supports engaged posts and recency is a key factor, so as long as you can keep the engagement rolling, you'll get better results overall. 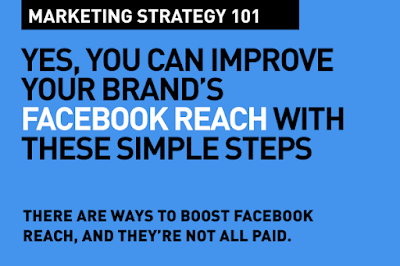 Use all other social platforms, including any blogs, and your website to boost your Facebook page's reach. Each post has a unique URL (the timestamp of your post is the URL) and you should use this in mentions on Twitter, for example. Thanks for this blog. provided great information. All the details are explained clearly with the great explanation. But we need to take care of the content and visual quality. This help for better performance. Thank for sharing the good information!!! Thank you for this amazing post. I enjoyed the the usual information regarding digital marking you shared with us. Thanks for this kind of posts and keep updating.